One of the most important aspects of creating a successful product is researching a niche market. By finding the right market, you will help to ensure that the level of competition is not too high. Here are some tips to help you narrow your focus when researching a niche market. In order for a product or company to be successful, you must be aware of the audience that you are targeting. For instance, if you are looking to sell vehicle accessories, then it would not make sense to target children. It is for this reason that the first step in market research is often determining the demographic of the niche that you are hoping to target. When you are researching to find a niche market to enter, consider the age range and tendencies of those you intend to target. Perhaps the most critical step when researching a niche market is keyword analyzation. Certain keywords are going to have better ranking potential than others, and much of this will depend on the level of competition in the market. There is a variety of tools available, such as Google Keyword Planner, which can help you determine which keywords should be targeted. In addition to showing the competition level of specific keywords, many of these tools will indicate the number of searches each keyword receives. As mentioned, the level of competition is going to significantly affect your ability to market a product. When you are researching a market, take a close look at the other businesses that are in the market, as these will be the companies that you will be directly competing with. One of the best ways to find competing businesses is by entering the keywords that you are considering targeting and analyzing the results that are displayed. If the search results return a number of large companies that offer the same product or service, then you might want to consider targeting a less competitive niche. Knowing the trends of the industry that you are going to target is critical to successfully entering a market. If a product is diminishing in demand, then you need to be cautious about starting in that market, as it may be in decline. On the other hand, if a market appears to be in the early stages of an upward trend, then getting in on the ground floor, before too many others enter the market, can lead to success. By utilizing tools like Google Keyword Planner, you can analyze charts that are related to the market, and this will help in deciding if the industry is trending in a positive direction. Once you have analyzed the market that you want to enter and the keywords that you will be targeting, it will be time to enter the niche. It is during this time that you must decide on the different ways that you are going to introduce your products. Depending on the niche, you will want to look into creating a website and starting a few social media accounts to help gain customers and market the product. 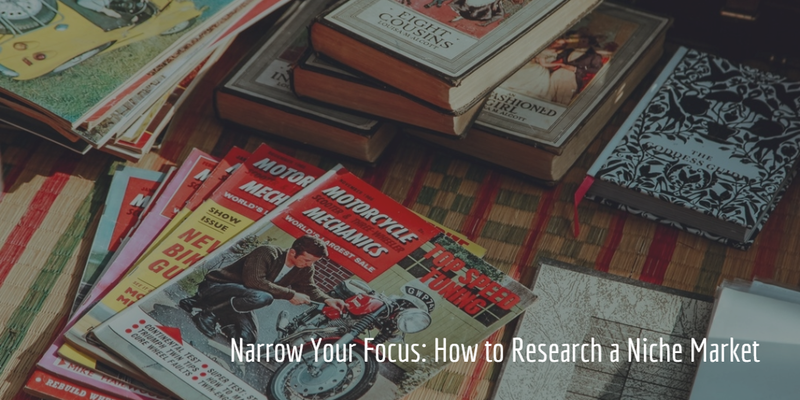 Researching a market is the most important step in creating a successful product. By analyzing various data, and targeting low competition keywords, you will significantly increase the chances that your product will find its way into the hands of the consumer. In addition, industry trends can offer added insight into the viability of a niche. Always consider these steps when researching a niche market, and in doing so, you will help to ensure the success of the product. With a background in Marketing, Jane Bolto currently works as a Content Specialist at Nybizdb.com. Always willing to share her passion for new marketing strategies.